A Silicon Valley skyline (San Jose). This is a list of technology centers throughout the world. Governmental planners and business networks like to use the name "silicon" or "valley" to describe their own areas as a result of the success of Silicon Valley in California. Nevertheless, there are a few qualitative differences between these places, and metrics may be applied to measure their dominance. What percentage of local employment is technology related. If mainly corporate, how much revenue and profit and which corporations have headquarters there. If mainly corporate, how much venture capital has been made available to companies in the zone. What supporting higher educational institutions (e.g., universities or colleges) are located in nearby. Silicon Valley: Originating in Stanford University (Palo Alto and Menlo Park), and spreading south towards San Jose, California and suburbs. San Francisco and nearby areas including Berkeley and Oakland are technically not part of Silicon Valley but have seen growth in industries such as web development (2013–2016) and venture capital. Silicon Valley has maintained dominance for decades in core industries such as microprocessor development as well as software and web development. CERN in Geneva, Switzerland is globally dominant in particle physics. Dulles Technology Corridor is globally dominant in telecom, satellite, and defense industries. Hsinchu Science Park: Hsinchu City and Hsinchu County, Taiwan is the dominant area worldwide for pure-play semiconductor foundry market. India as a whole is globally dominant in software technology outsourcing, famous for Silicon City, Bengaluru. Shenzhen Hi-Tech Industrial Park: Shenzhen, Guangdong, China Shenzhen municipality and surrounds, including Dongguan's factories had been for a decade the world's dominant peripheral hardware suppliers. More recently Shenzhen has become the dominant place worldwide for hardware startups (excluding microprocessors, chip memory, and pure-play semiconductor foundry). Silicon Alley or NYC is globally dominant in fintech although Shenzhen is also coming up strong in this area. Silicon Fen: The name given to the region around Cambridge, England, which is home to a large cluster of high-tech businesses focusing on software, electronics and biotechnology. Many of these businesses have connections with the University of Cambridge, and the area is now one of the most important technology centres in Europe. Silicon Wadi: An area with a high concentration of high-tech industries in the coastal plain in Israel. Israel as a whole country has strong innovation in Cyber Security, Agritech and more. The Silicon Wadi area covers much of the country, although especially high concentrations of hi-tech industry can be found in the area around Tel Aviv, including small clusters around the cities of Ra'anana, Petah Tikva, Herzliya, Netanya, the academic city of Rehovot and its neighbour Rishon Le Zion. In addition, hi-tech clusters can be found in Haifa and Caesarea. More recent hi-tech establishments have been raised in Jerusalem (Technology Park, Malha, Har Hotzvim and JVP Media Quarter in Talpiot), and the Startup Village Ecosystem in the Yokneam area. 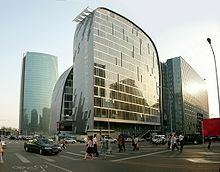 Suwon, Korea or Samsung Digital City is the dominant place worldwide for chip memory and integrated system on a chip with large components of microchip memory. Thailand as a whole is globally dominant in hard disk manufacturing. Tsukuba Science City, Japan has the largest budget of government-sponsored general research and development for any science park zone of its size. Silicon Slopes: Salt Lake City, Utah including Utah County (Provo, Utah) and Summit County (Park City, Utah) and surrounding areas. Tech Coast: broadly Southern California, Silicon Beach refers to emergent Santa Monica-LAX tech cluster. Tel Aviv/Mediterranean Coastal Region: referred to as Silicon Wadi, an area with a high concentration of high-tech industries in the coastal plain in Israel. Israel as a whole country has strong innovation in Cyber Security, Agritech and more. The Silicon Wadi area covers much of the country, although especially high concentrations of hi-tech industry can be found in the area around Tel Aviv, including small clusters around the cities of Ra'anana, Petah Tikva, Herzliya, Netanya, the academic city of Rehovot and its neighbour Rishon Le Zion. In addition, hi-tech clusters can be found in Haifa and Caesarea. More recent hi-tech establishments have been raised in Jerusalem (Technology Park, Malha, Har Hotzvim and JVP Media Quarter in Talpiot), and the Startup Village Ecosystem in the Yokneam area. Yehud: Hosts primarily Hewlett Packard Enterprise's Software campus (http://h30507.www3.hp.com/t5/Careers-at-HP/A-tour-at-HP-Software-campus-in-Yehud-Israel/ba-p/184796), but is the home of more IT and High Tech companies such as Ticomsoft, Flame-Ware Solutions, RegiSoft, Fenavic, Bgate, BYON IT Solutions and others. Yokneam Illit: with over 100 high-tech companies concentrated in a small area that is nicknamed "Startup Village"
Silicon Valley of the North: Ontario Highway 401 between Toronto and Waterloo A related area was also promoted as Canada's Technology Triangle. Chilecon Valley: Santiago, Chile. The name was first coined by The Economist. Santiago is home of Start-Up Chile, the most important government sponsored accelerator worldwide. Silicon Alley: Originally a portion of Manhattan in New York City, specifically Broadway, the Flatiron District, SoHo, and TriBeCa. Now encompasses the general NYC tech sphere. Silicon Canal: The area of Seattle, Washington along the Fremont Cut. Silicon Docks: Dublin, Ireland. Contains the European headquarters of companies like Facebook, Twitter, Google, LinkedIn, and many others. Silicon Canal (Birmingham, England): the area along the Digbeth Branch Canal from Aston Science Park, through Millennium Point to Digbeth. Silicon Forest (Newark, Nottinghamshire): Silicon Forest consists of various businesses from in and around the Newark and Sherwood area that specialise in technology and innovation. ^ a b Viva Tel Aviv! ^ "Technology Park Malaysia". Retrieved 4 January 2017. ^ "Selangor Science Park 2 Moving At Snail's Pace". Retrieved 4 January 2017. ^ "FRIM-MTDC - Malaysian Technology Development Corporation". Retrieved 4 January 2017. ^ "UPM-MTDC - Malaysian Technology Development Corporation". Retrieved 4 January 2017. ^ "UKM-MTDC - Malaysian Technology Development Corporation". Retrieved 4 January 2017. ^ "UITM-MTDC - Malaysian Technology Development Corporation". Retrieved 4 January 2017. ^ "Penang is on its way to becoming the Silicon Valley of the East, and IoT is how". Retrieved 4 January 2017. ^ "Styling itself as the 'Silicon Valley of the East'". Retrieved 4 January 2017. ^ "Penang still 'Silicon Valley of the East'". Retrieved 4 January 2017. ^ "A Silicon Valley of the East: Penang's thriving start-up community". Retrieved 4 January 2017. ^ "Invest Penang - Opportunities". Retrieved 4 January 2017. ^ "MSC Cyberport Johor". Archived from the original on 15 November 2016. Retrieved 4 January 2017. ^ "Nusajaya Tech Park". Retrieved 4 January 2017. ^ "UTM-MTDC - Malaysian Technology Development Corporation". Retrieved 4 January 2017. ^ "Kulim Hi-Tech Park". Retrieved 4 January 2017. ^ Lee, Suh-yoon. "IT firms rushing to hire software developers". The Korea Times. Retrieved 27 April 2018. ^ Barrenechea, Mark (2014-05-16). "Why Ontario is the Silicon Valley of the North". The Globe and Mail. Retrieved 2014-11-09. ^ "Is Ottawa still Silicon Valley North?". 29 June 2009. Retrieved 1 October 2014. ^ Soper. "The lure of Chilecon Valley". ^ "Siliconia -- Part 1". ^ Soper, Taylor (February 11, 2015). "Silicon Desert: How Phoenix is quickly—and quietly—becoming a hub for innovation". GeekWire. Retrieved May 15, 2016. ^ Soper, Taylor (February 11, 2015). "Former Pitney Bowes HQ now 'Silicon Harbor'". Stamford Advocate. Retrieved January 4, 2016. ^ "Silicon Britain: Inside the country's tech clusters". BBC News. 2012-03-20. Retrieved 2012-06-26.